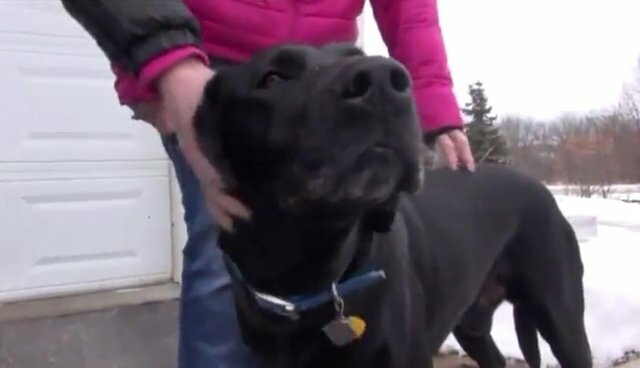 A woman with a heart condition who lost consciousness outside on a freezing morning was found in time to be saved - all because of one devoted dog named John Boy. 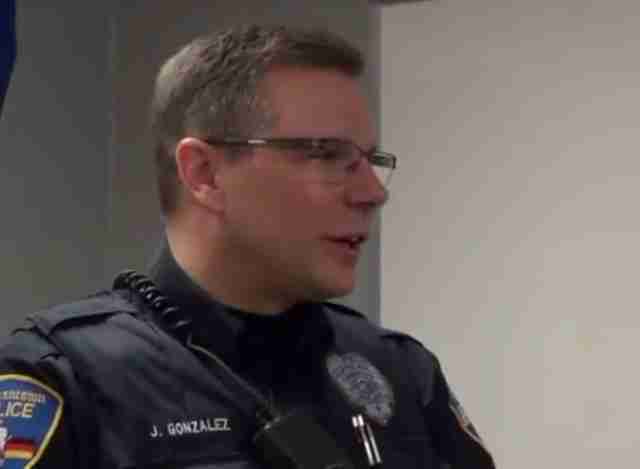 Police officer Jeff Gonzalez was driving in a Germantown, Wisconsin, neighborhood last week when he was approached by John Boy wandering alone along the snow-lined streets. After Gonzalez stopped his patrol car, the dog began to bark and wag his tail, prompting the officer to exit the vehicle. "And then he ran a little bit," Gonzalez told news station WITI. It soon became clear why the friendly black Labrador had flagged him down. John Boy led Gonzalez to the front porch of his home, where the officer found the canine's human companion unresponsive on the porch. Fortunately, the woman was still breathing and, thanks to her dog, was found in time to get the medical attention she needed. In describing the circumstances leading to the woman's rescue, Gonzalez told Germantown Now that it was a "Lassie moment." Plenty of pets have gone above and beyond in an emergency situation. As was the case with John Boy, sometimes they just so happen to find a person whose job it is to help. In 2010, a dog named Buddy helped save his owner and home after a fire broke out in Caswell Lakes, Alaska. State troopers later released dashcam footage showing the dedicated dog catching the attention of an officer before leading him through the winding country road directly to the blaze. Read more stories of furry (and feathered) pets who saved the lives of their humans.